Oppo A33F Display Ways Backlight Jumper Solution Lcd Light Not Working Problem Display Error Issue Fix Backlight Solution. This solution below shows the Oppo A33F LCD display backlight components that hold and control for the LCD screen display backlight to glow. If one of these components may become faulty due to wet or water damaged it will result in LCD’s backlight failure. 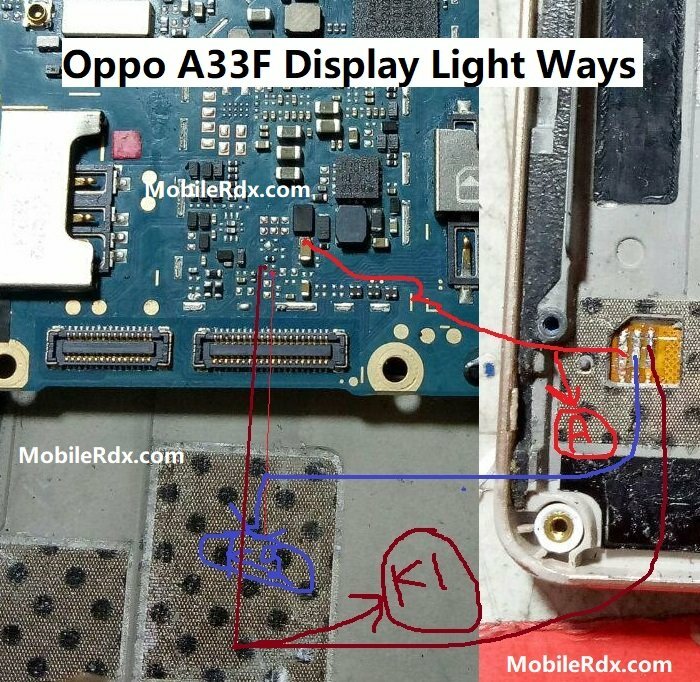 Here are some hints on how to troubleshoot the “Oppo A33F LCD display backlight not working problem”.